Bryce Harper is one with baseball’s unwritten rules. He understands them … and he disapproves. He’ll bend them and tousle with them and bunch them up and whack the league’s stodges over the head with them, smiling all the while. Harper, though, is not like some of his celebrated—and celebratory—peers, whose blatant disregard for established baseball etiquette—Yasiel Puig’s bat flips, for example—seems as much a calculated an effort to increase their Q rating as anything else. For Harper, it’s more a function of his overall game, a bleeding at the edges of whatever it is that makes him great. “Baseball’s tired. It’s a tired sport, because you can’t express yourself. You can’t do what people in other sports do. I’m not saying baseball is, you know, boring or anything like that, but it’s the excitement of the young guys who are coming into the game now who have flair. If that’s Matt Harvey or Jacob deGrom or Manny Machado or Joc Pederson or Andrew McCutchen or Yasiel Puig — there’s so many guys in the game now who are so much fun. In many ways, Harper is correct. This is no longer your father’s baseball league, wherein overt displays of emotion will earn a fastball to the earhole. Nolan Ryan has been retired for nearly a quarter of a century, and no standard-bearer has taken his place. Puig, meanwhile, stands among an assortment of players who are more than happy to flip and grin and celebrate in ways that have traditionally been foreign to the major leagues. And that’s not necessarily a bad thing. It’s interesting that Harper referenced Jose Fernandez, though. The right-hander, among the game’s most exciting players, has earned wide latitude when it comes to displays of enthusiasm. His story, however, is one of maturation—much of which came during the course of a single game in September, 2013. That day, during the final start of Fernandez’s rookie season, he got into it with Atlanta, for reasons running directly counter to Harper’s recent assessment. The pitcher grinned widely when Juston Upton’s would-be homer was caught at the wall, but failed to offer similar leeway an inning later, when Evan Gattis intentionally pimped a home run in response. Fernandez one-upped Gattis after hitting his own home run, not only watching it from the box until he was certain the Braves had noticed, but going into a glacial trot around the bases before literally spitting toward third base as he rounded the bag. None of this, save for Fernandez’s initial grin, had anything to do with celebrating the game. Either way, Fernandez came clean to reporters in the postgame clubhouse. Fernandez was talking not about his joie de vivre—he continues to enjoy himself like a madman on the baseball diamond—but his blatant disrespect of the opposition. To his credit, we haven’t seen anything like that from him since then. Which brings us back to Harper. As a former teenage phenom, he’s been picked on by a variety of big league veterans (and even umpires). Sometimes his response has been fine, sometimes less so. Harper’s unprovoked actions have been mostly solid. The guy plays fiery, including his attitude from the sidelines, and teams around the league have come to accept that. Which is as it should be. It’s a lesson that needs special reinforcement as the game slides further away from a hard line against celebrations: So long as players’ on-field displays are focused inward, guys like Harper and Fernandez should have relatively smooth sailing. Directed at the opposition, however (take Harper’s own scuffing of the Braves logo in 2014, or his behavior after homering off of Hunter Strickland during the playoffs later that season), are a different matter. It’s an important distinction. There are strong feelings on both sides of the divide—traditionalists who want no part of emotion on the diamond, and those who decry the Code as ancient hokum, unfit for the modern game. As is usually the case, the truth lies someplace in between. Celebrations are here to stay, but disrespect is as reviled now as it’s ever been. Trouble is, it’s sometimes difficult to distinguish between the two, which is where much of the problem lies. 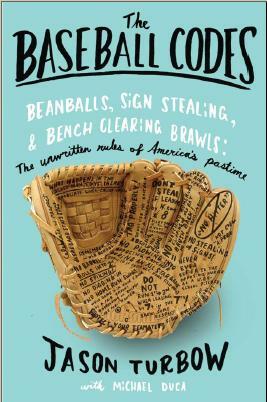 Baseball is an ever-changing game, as are its unwritten rules. The sport is still feeling its way through this, but with guys like Harper and Fernandez at the helm, it should all work out just fine. Next postBryce Harper and Sergio Romo: Secretly Simpatico?